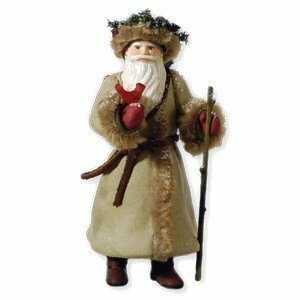 Byers Choice Carolers – Collectibles for me! We did a series on Christmas collectibles last June, but somehow I missed one of the most interesting collectibles. Jo Boroff, my sister’s mother-in-law, has a house full of the Byers Choice Carolers, and she continues to collect them each year. What makes these figurines, with their mouths permanently open in song, so special? This video, which features the history of Carol Byers’ journey from hobbyist to entrepreneur to a family-owned corporation, is inspirational. Throughout the video, the viewer is treated to a close-up of the crafting process. Unlike other collectibles turned out on an assembly line, these dolls are designed and assembled by artisans, each with his/her own stamp of creativity. The video also highlights the family’s contributions to charity and the community around them. It was enough for me to think I need to start collecting these figurines, but at $60 – $100 each, I’d have to think long and hard about the series I would collect–many of the figures are limited to 100 figurines. 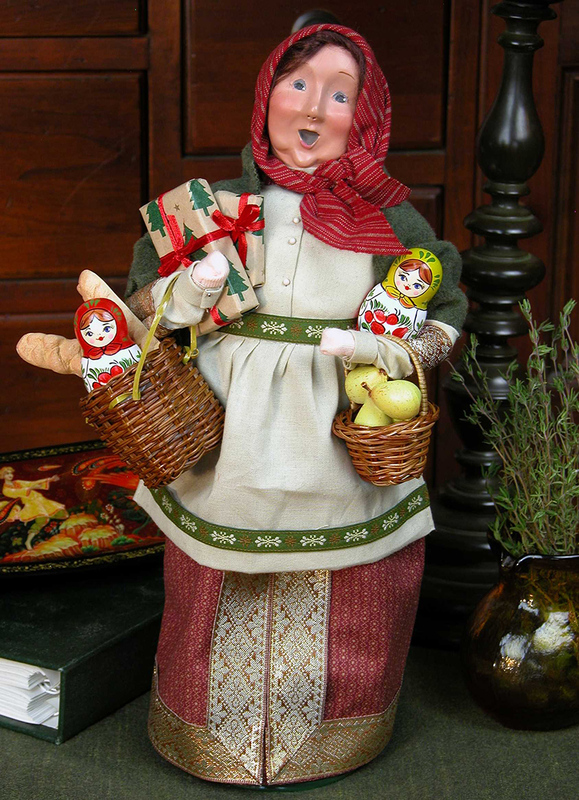 The figurine pictured here is “Baboushka.” I thought Jeremy would appreciate the Russian influence. This link will take you to the website and the 2013 collection. The most exciting discovery? The factory (with a museum and free tour) is only 2 hrs and 38 minutes from my doorstep, in Bucks County, PA. I see a field trip in my near future. The narration of the video concludes with, “The spirit of Christmas is something the Byers’ family specializes in, and they practice it 365 days a year.” With that attitude, The Yule Log ought to consider investing. 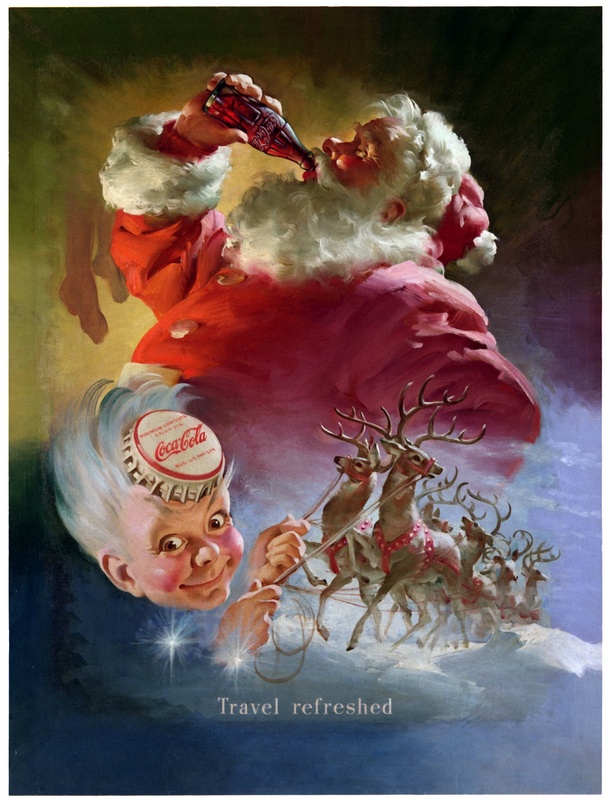 Coca-Cola has had Christmas advertising since the 1920s. The Santa they used early on was bases on drawings by the famous newspaper illustrator, Thomas Nast. Nast’s depiction was a stern and strict elf like Santa who wore browns and greens before Nast switched his coat and robes to a red color. In 1931 Coke decided it needed a new look for its advertising and worked with artist Haddon Sundblom to create such an image. Sundblom kept the red coat from Nast (contrary to urban legend that red was selected because it was the color of Coke’s labeling). The jolly image he created was based on the description of St. Nick provided by Clement Clark Moore. This jolly, happy, and kind soul delivering goodies to kids of all ages became the look of the Coke Christmas advertising, and according to them, the image we embraced as a nation for Santa Claus. Coke celebrated 75 years of this advertising in 2006. Early on the ads focused on getting people to see Coke as a drink for all seasons, not just warm weather. Sundblum’s ads debuted in the Saturday Evening Post in 1931. The ads showed Santa delivering toys, reading letters from children, and taking a break to drink a Coke. Sundblum painted the ads for 33 years. Initially he used a live model to create his works. After his death he used himself and painted based on the reflection in a mirror. By the end of the 40s he painted all his works from photographs of the scenes he created. The paintings quickly moved from magazine ads to store displays, billboards, posters, calendars, even dolls. Today we see ornaments, plates, figurines, and so much more! The original paintings by Sunblum are some of the Coke corporation’s most prized possessions. They have been displayed in museums around the world, including the Louvre. All those advertising items are the core of the Coca-Cola Christmas collectibles. The Santa Claus ads were joined in the 1940s by Sprite Boy. Sprite Boy’s name came from him being a sprite (elf), debuting in 1942. Sprite, the beverage, didn’t premiere until the 1960s. 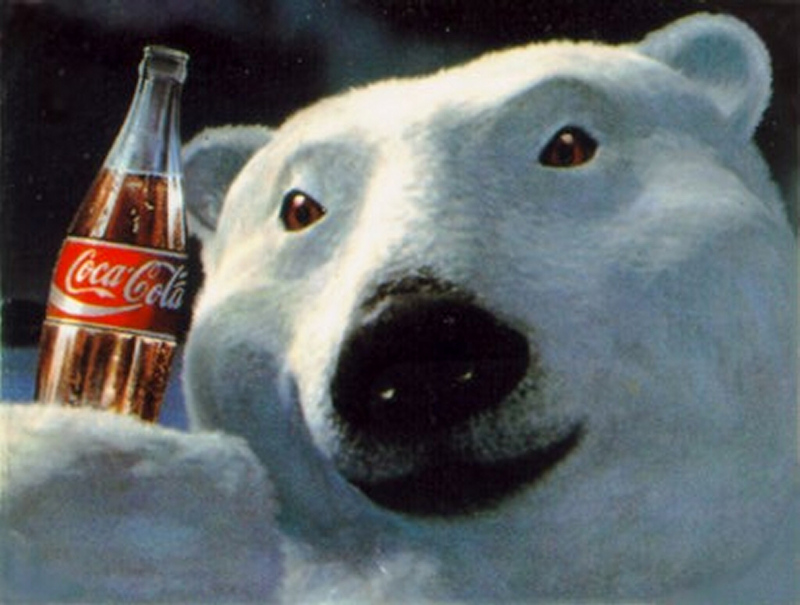 Santa and Sprite Boy were joined in the holiday work by the Coke Polar Bears in 1993 as a part of the “Always Coca Cola” campaign. Serious collectors keep close watch on all the changes and developments. Like all the collectibles we have discussed there is a society for these devotees also. Cavanagh’s Christmas Collectors Society is for those who collect Coke. For your $25 annual fee you receive an exclusive figurine, newsletter, catalog, history, membership card, and access to member exclusive deals. 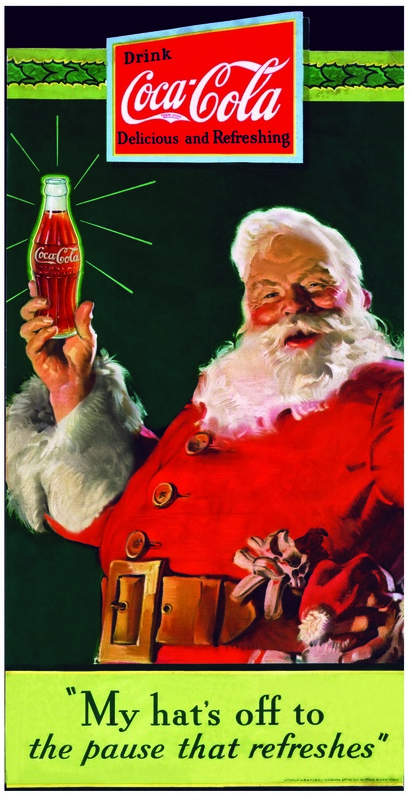 Coke’s dedication to advertising at Christmas grew to include commercials, films, and seasonal jingle. Check out this clip to hear one of the most loved Christmas creations by Coke. 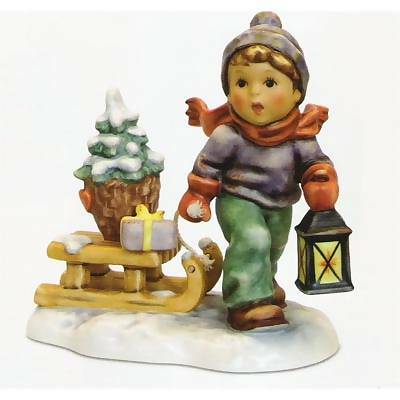 The next Christmas collectible I would like to highlight is the perennial Hallmark Keepsake Ornament. As I started my look into the world of the keepsake ornament I realized this was not the kind porcelain world of Hummel. Keepsake ornaments are serious business for the masses. The annual ornaments are available at any official Hallmark retailer as well as on-line. So how did the madness begin? 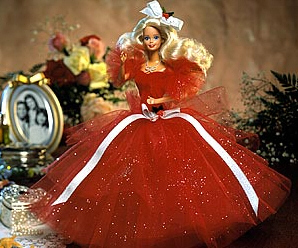 Hallmark corporation started selling the keepsake ornaments in 1973. The initial collection was 6 different ball ornaments and 12 yard figures. Hallmark states on their corporate listing that there are 5 main reasons that people purchase ornaments. There are: 1) to commemorate a milestone; 2) to recall a special memory; 3) to represent a child or grandchild; 4) to pass on as an heirloom; and 5) to express individuality. Since that initial offering 39 years ago there have been over 3,000 different ornaments created and over 100 series of ornaments. The oldest series is “Frosty Friends” and has been going since 1980. There are ornaments for anyone and everyone. There are those for special milestones- baby’s first Christmas, new home, new marriage, etc. There are some for interests and hobbies- cooking, golfing, fishing, knitting, grilling- you name it. There are those for movies, sports teams, animated characters and animals. Some are interactive, moveable, include photos, have music, lights and more. Some even link to the “magic cord” that makes them interact in light and sound creating a special show. Each year sees new and different selections. 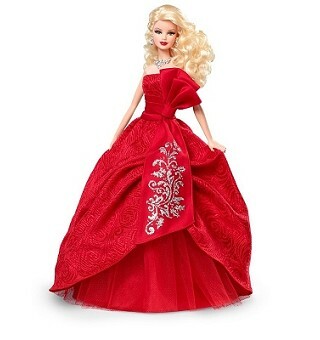 2011 had new ornaments featuring classics like Barbie, Spiderman, and Scooby Doo in addition to more unique ornaments like those for Kung Fu Panda 2, Harry Potter, and the Twilight series of movies. Collectors of all types will be drawn to the Hallmark Keepsake collection. The ornaments are some serious business. There is a lot to keep track of to be a successful Hallmark collector. 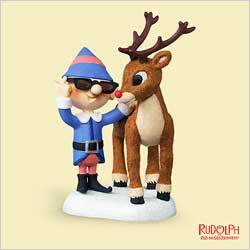 First you should join one of the 500+ Hallmark Keepsake Ornament Clubs in the US and Canada. There are 5 in Maryland alone. For your $30.95 club fee you will receive 2 free membership ornaments, the opportunity to buy club only ornaments, exclusive online member only information and deals, the official catalog know as the “Dream Book”, and your exclusive membership card. Get that membership card ready for the wide variety of special events at Hallmark stores from now ’til Christmas. All are open to the public. First up is Premiere weekend held July 14 & 15. There there is a Debut weekend held October 6 & 7 and Open House weekend held November 2-4. All of these events have coupons, limited quantity ornaments available, new series offerings, and weekend only special deals. Standing at the checkout line in Costco last November, I noticed the woman in front of me had six boxes of the annual Swarovski ornament and she was excitedly talking into her cell phone about whether she should purchase more. I admit I had never seen the ornament before, and, for a brief moment, I caught crystal fever and contemplated stepping out of line to pick up a couple for myself. The regular hefty price tag for one of these gems is approximately $80. Out of my league for sure. Last year celebrated the collectible star’s 20th anniversary (with a unique blue box packaging design). I imagine that a tree decorated with these crystals reflecting the lights must be very beautiful. Here are some designs from past years. 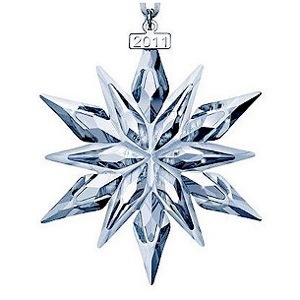 Also, a unique gift for the collector might be the Swarovski Crystal Society (SCS) membership. This week we have decided to focus on Christmas collectibles and collections. One of the most recognizable collectible makers is Hummel. These cute porcelain figurines depict mostly children in all types of scenes and settings. 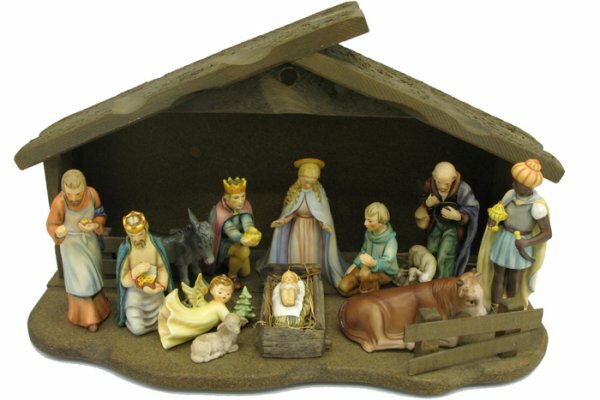 There are a wide variety of lines in the collection and the Christmas figurines are certainly among the most popular. 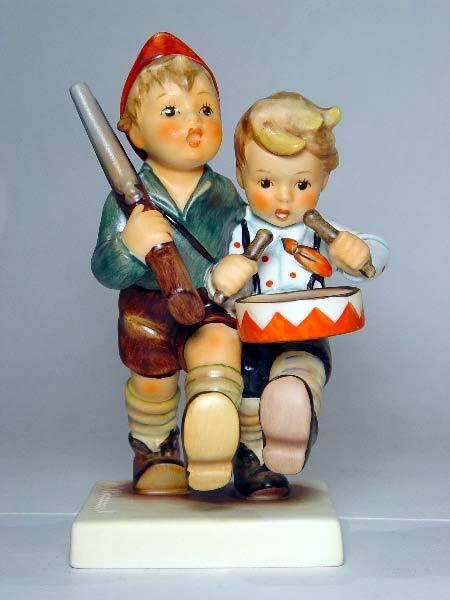 The Hummel figurines were created originally by the Goebel porcelain company in Germany. They are named for the artist who created the drawings Goebel used as inspiration for the figurines. So who was this Hummel? Berta Hummel was born in Germany in 1909. She was a gifted young artist and a faithful Catholic. Her family allowed her to study at a school focused on the arts and run by the church. When she graduated in 1927 she then attended the Munich Academy of Applied Arts. WHile there she connected with some sisters from a nearby Franciscan order. 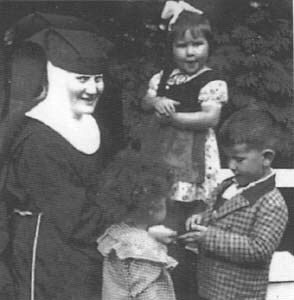 Upon graduation she entered the COngregation of the Franciscan Sisters of Siessen. She continued her artwork, mostly simple scenes featuring children. These were published on series of postcards. A local porcelain company craftsman, Franz Goebel, liked what he saw and came to an agreement with SIster Maria and the convent to produce porcelain figurines of the art. This new partnership was signed on January 9, 1935 when Maria was just 26 years old (this date is considered the birthday of the Hummel creations by collectors). The new figurines were introduced at the 1935 Leipzig SPring Fair and drew strong interest immediately. The rise of the Nazi government and World War II caused a restriction to the production of porcelain and brought great hardship to Sister Maria. Her piece, the Volunteers, enraged Hitler causing him to ban the distribution of her art. Hitler and the Nazis hated the manner children were depicted by Hummel as “brainless sissies”. In 1940 the Nazis seized the convent, forcing over 200 of the residents to leave. ABout 40 remained, including Sister Maria, under horrible conditions. Hummel was allowed to sell art directly to buyers, but the Nazis kept a huge percentage of the profits. Her art sales allowed the convent to continue through the war. By the end of the war, Sister Maria had grown ill and contracted tuberculosis. She continued her work until her death in 1946. She left her drawings and entire collection under the control of the Convent of Siessen. The figurines produced by Goebel would take off like crazy after the war. They immediately were sought after all over Germany. American soldiers stationed in West Germany sent them to family and friends as gifts and returned home with them as well. The huge American popularity was partly due to nostalgia by the many German immigrants living in the US and by the fact that the Army PX system carried the figurines in its inventory. For the next 50 years the figurines continued to gain popularity as collector items and the prices skyrocketed. A simple basic figurine today might cost $50. More elaborate creations, collections, and limited or rare editions easily fetch hundreds if not thousands of dollars. I did a little searching to find prices for Hummel Nativity sets. I found two I liked. One of them was $1275 and the other was $1900! To find the complete official information for all things Hummel, visit the official website including price lists and guides. Check out the new offerings for 2012 at this Hummel Discount website. A bit pricey for my collection but could be a great gift to give recognizing some special event for 2012 (new baby, new couple, etc). If you’re interested in just looking at HUmmel collectibles, there are a number of museums for you to visit. Two are located in the United States. The Hummel Museum is located in Texas and was started by Sieslinde Schoen. Schoen was one of the child models used by Hummel to create her art. Schoen found nearly 300 original works by Hummel that had been stored in Switzerland. The museum opened in 1992. The Donald E. Stephens Museum of Hummels is located in Illinois. Stephens was the first mayor of Rosemont, IL and an avid collector of Hummel figurines. The museum boasts the largest collection of figurines in the world. If you are interested in more about collecting Hummels there is MUCH information for you to review. I will be keeping my eyes open at yard sales and auctions to find a super bargain treasure.